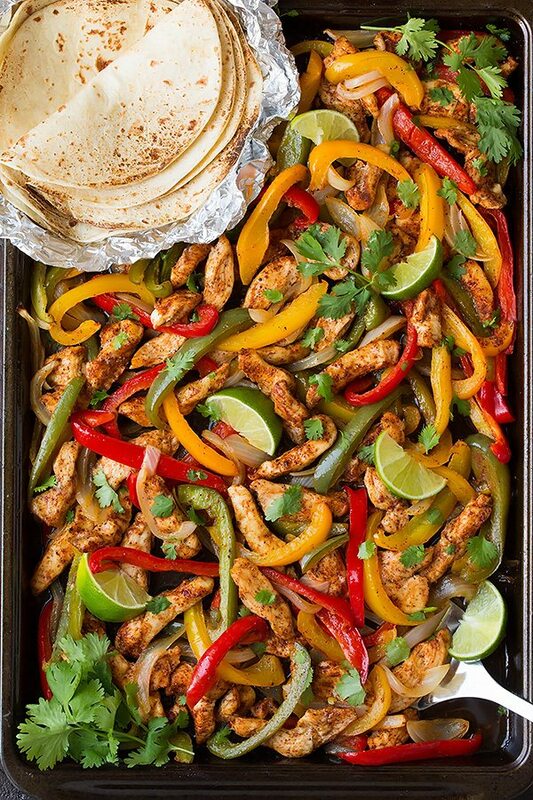 Sheet Pan Chicken Fajitas have quickly become a regular on my dinner rotation! 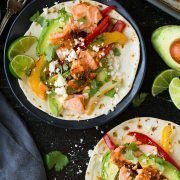 These easy fajitas are brimming with those Mexican flavors we crave, they’re a breeze to throw together, and clean up couldn’t be easier. They’re sure to be a crowd favorite! You know I love my easy dinner recipes, especially when they turn out to be something my whole family loves! 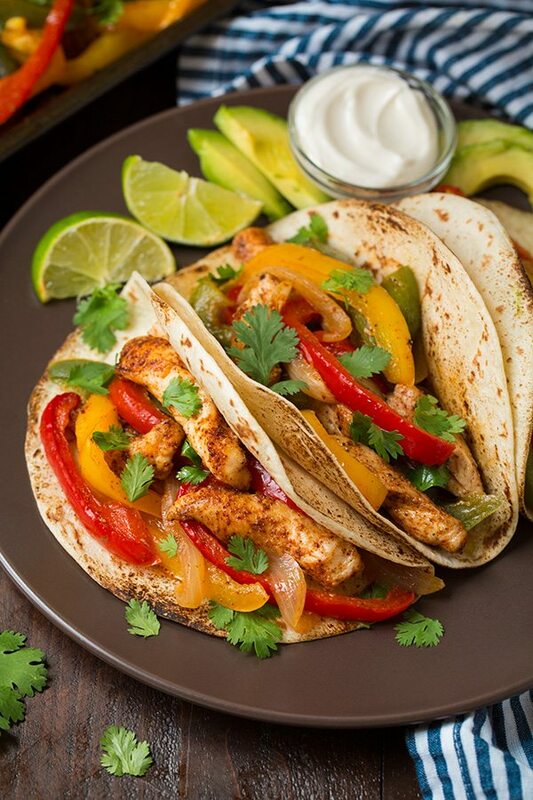 This easy fajita recipe is definitely one to add to your recipe book. Even though these baked chicken fajitas aren’t seared in a flaming hot cast iron pan, they are still packed with flavor and will leave you craving more! I love that this makes a big batch, because we all love these oven fajitas! This is definitely the perfect lazy dinner. It has all those delicious southwestern flavors and only requires minimal effort. Lazy Monday night meal here we come. 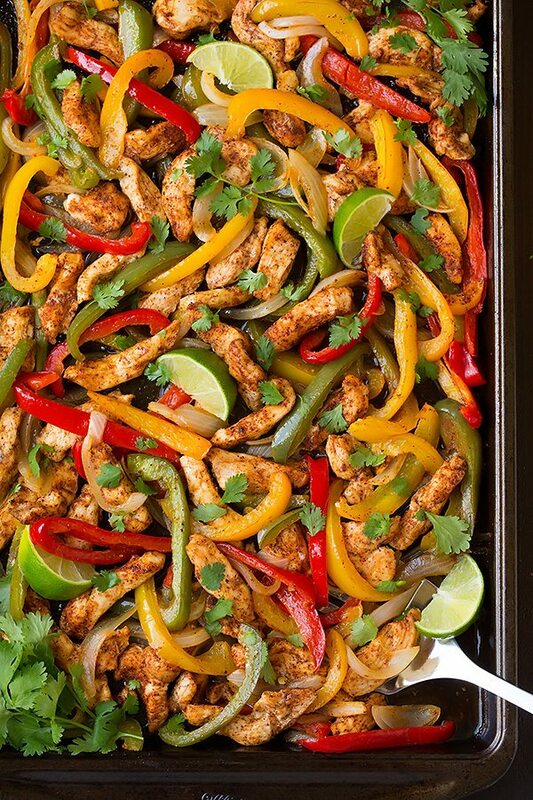 Try these incredibly delicious Sheet Pan Chicken Fajitas this week — you likely won’t find a single piece leftover in the pan by the time dinner is done. In other words, I have the feeling your family will really love these too. 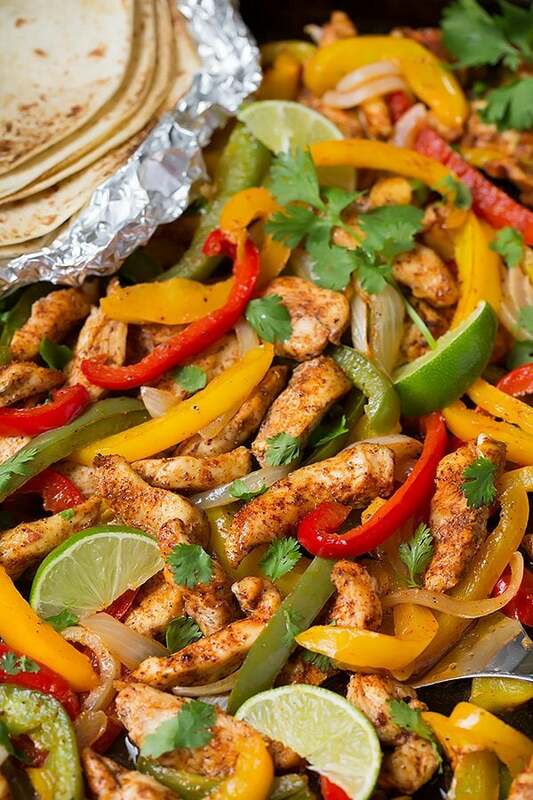 Want to see how easy this chicken fajita recipe is? Watch the video! Place the chicken and veggies on rimmed baking sheet. Sprinkle over homemade fajita seasoning. Bake until chicken is cooked through, tossing once halfway through. Can I Use Different Fajita Vegetables? Of course! Onion and bell peppers are the most traditional veggies included in fajitas, but you can include anything you have on hand. Just keep in mind that you may have to adjust the cook time slightly if you want to include heartier veggies. Should I Line the Sheet Pan? Nope! The chicken and veggies slide right off the sheet pan, so there’s no need to line it with foil or parchment paper. If you have leftover sheet pan fajitas, I recommend heating the leftovers in a skillet on the stove. This will prevent the chicken from becoming rubbery and the peppers from turning to mush in the microwave. You’ll know when the chicken is finished cooking when it’s 165 degrees F in the center. Make sure to toss the fajitas halfway through the baking time to ensure everything cooks evenly. Toppings are optional, but my family loves these easy fajitas with sour cream, avocado, shredded cheese and tomatoes. Chicken breasts strips, bell peppers and onions are all tossed together on a baking sheet with spices and oil and baked in the oven until cooked through. It doesn't get any easier than this! Preheat oven to 400°F (200°C). Spray an 17 by 12-inch rimmed baking sheet with non-stick cooking spray. For the seasoning: In a small mixing bowl whisk together chili powders, cumin, paprika, coriander, 1 1/2 tsp salt and 1/2 tsp pepper, set aside. For the fajitas filling: Spread bell peppers and yellow onion onto baking sheet. Top with chicken strips then sprinkle garlic and seasoning evenly over chicken strips. Drizzle olive oil over top then toss everything to evenly coat. Spread into an even layer working to keep chicken from overlapping. Roast in preheated oven, tossing once halfway through cooking, until veggies are tender and chicken has cooked through, about 18 - 25 minutes (test a few of the larger pieces to make sure they are 165 in the center). Wrap tortillas tightly in foil and warm in oven during last 5 minutes of fajita filling cooking. Drizzle lime juice evenly over top of the chicken fajita filling, sprinkle with cilantro and more salt to taste and toss to coat. Serve filling warm in warm tortillas with desired toppings. You don't need to line your sheet pan with foil or parchment paper, non-stick spray does the job!